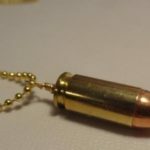 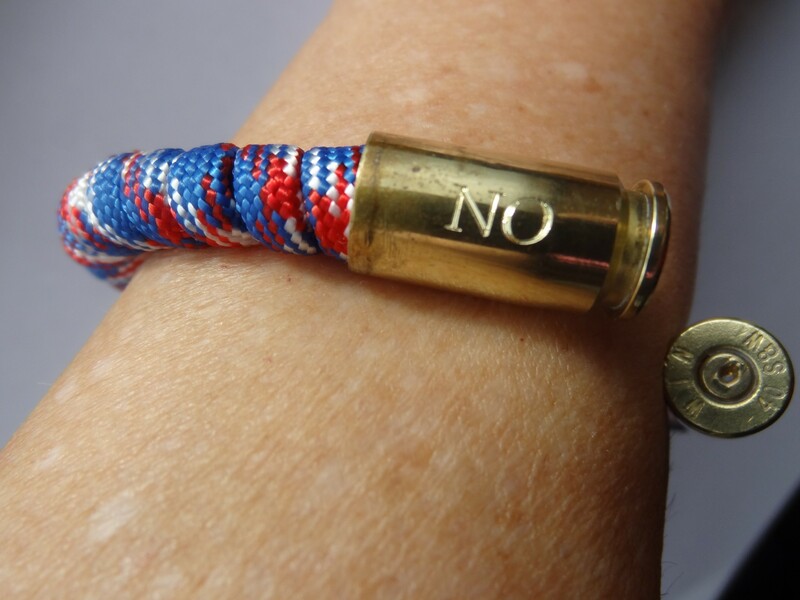 This bracelet epitomizes the American spirit! 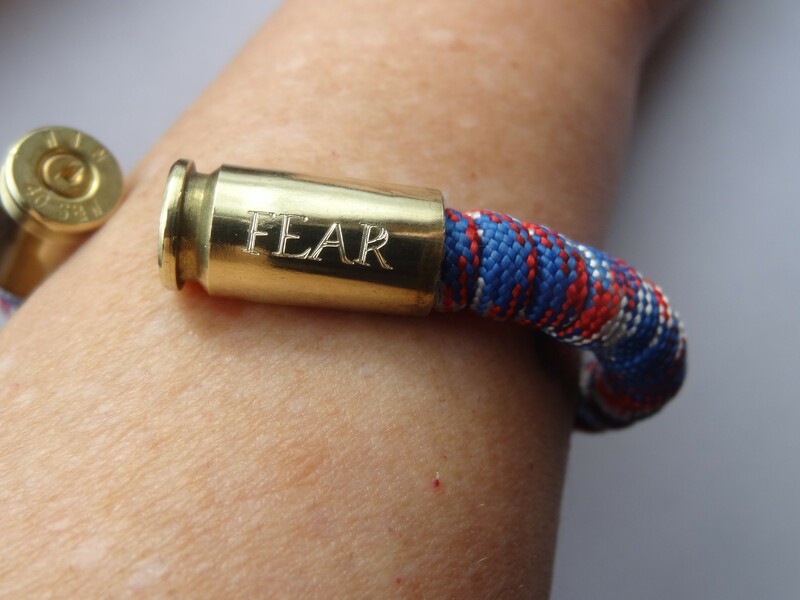 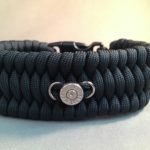 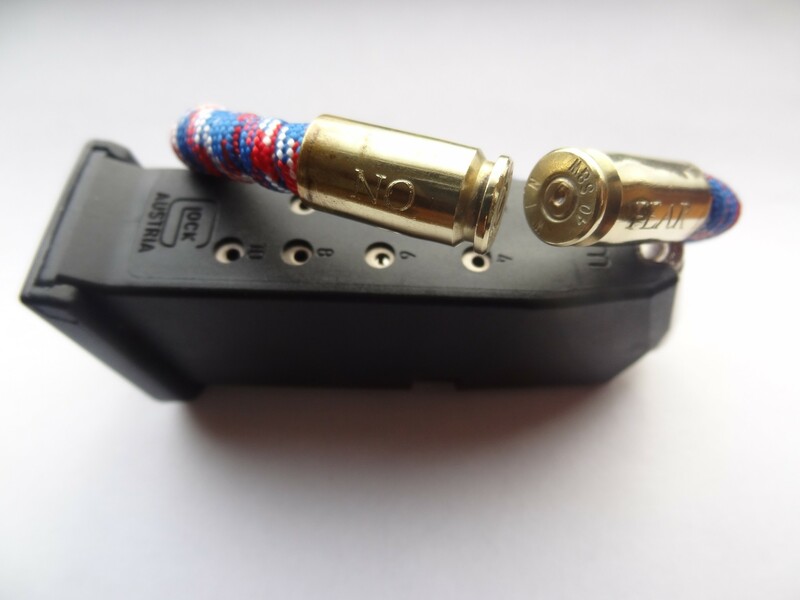 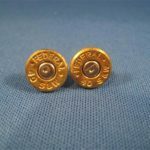 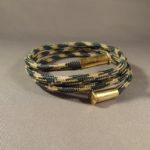 Made from 6 to 7 feet of paracord that can be removed and used in an emergency situation, this bracelet has two once-fired .40 caliber bullet cases that are engraved with the words “No Fear.” The red, white and blue paracord exudes patriotism! 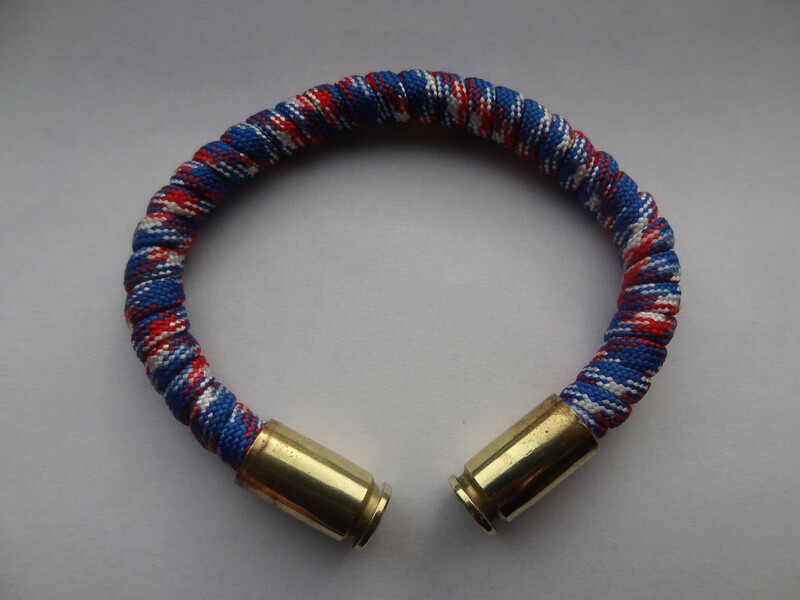 Bends to fit your wrist. Small 6", Medium 7", Large 8", XL 9"